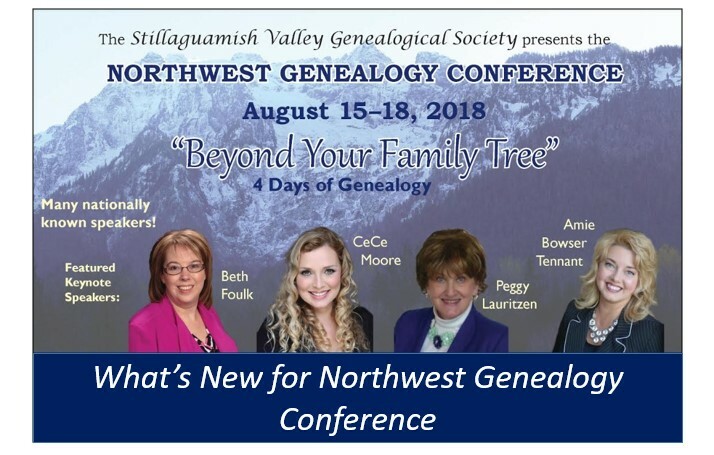 Stillaguamish Valley Genealogical Society welcomes all to their 2018 Northwest Genealogy Conference and now, they are offering advanced workshops for those who have registered. Top-notch classes and a free beginner workshop are also in the line-up of this great conference. Keep reading and learn more! 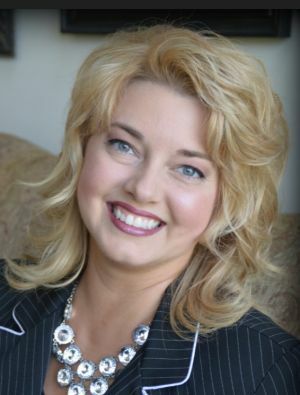 Digging Deeper with Autosomal DNA with CeCe Moore; Course Fee $40; payable at registration through PayPal – In this hands-on workshop, CeCe will walk you through the steps she uses in her own research to get the most out of the AncestryDNA data. Genetic networks are the most powerful tool we have in genetic genealogy currently and understanding how to most efficiently create them and work with this data is the key to accomplishing your genetic genealogy goals. Attendees should have already tested with Ancestry DNA and have access to results, have an active membership to Ancestry.com, and come to the class with a laptop. Spreadsheets 101 Workshop “An Excel-lent Hands-On Tutorial” with Mary Kircher Roddy; Course Fee $30; payable at registration through PayPal – Learn some tricks and tools for using Excel for genealogy; how to deal with pre-1900 dates; how to import data from Ancestry, FamilySearch, and other websites; how to wrap text, split columns, sort, find, use color and more. Attendees are expected to come to class with laptop that is installed with Excel 2016. How to Use FamilySearch Efficiently and Effectively with Janet O’Conor Camarata; Course Fee $30; payable at registration through PayPal – It’s all about FamilySearch.org! Learn how to use search logic, wildcards, and how to narrow and expand your search for best results. Learn to find record images by searching collections, by locations, using the research wiki and by browsing un-indexed records. Rediscover the many features of FamilySearch. To register for any of these advanced workshops, you must be registered for the conference. Click here to register for these wonderful Wednesday workshops now. Habits of the Effective Genealogy Strategist – Join us as we discuss the tips and strategies to make an effective Standard Operating Procedure all your own, and how to incorporate the Genealogical Proof Standard. These strategies will help you become more organized in your research, more thorough in your research, and ultimately overcome brick walls. Deed You Hear About These Underutilized Records? – Deeds are just one of many underutilized record sets genealogists need to use in exhaustive genealogy research. Warranty and quit-claim deeds hold vital information that will lead you to great discoveries in your family tree. In this class, we will also discuss estate packets, guardianship records, and civil case files. Other speakers for the day include, Michael Strauss, Lisa Oberg, Kathy Meade, Dan Earl, Lisa Alzo, and CeCe Moore. To see the titles and descriptions of these classes, click here. Friday includes another talented line-up with speakers to include Peggy Lauritzen, CeCe Moore (Banquet Speaker), Lisa Alzo, Dan Earl, Kathy Meade, Judy Muhn, Barbara Randall, Michael Strauss, Rich Venezia, and Katherine Willson. To see class titles and summaries, click here. And we end on Saturday, August 18th with classes given by Beth Foulk, Janice Lovelace, Judy Muhn, Barbara Randall, Rich Venezia, and Katherine Willson. To see class titles and summaries, click here. Hope to see many of you, my genealogy friends, in Washington in just a few short weeks!